One of the things I like to do to start each year is choose a calender to go on the side of my fridge. It helps me to keep relatively organised, provides a sense of anticipation for upcoming events (like Mum will be here in 46 sleeps) and offers a ‘mark’ for the new chapter each new year brings, no matter how much I ‘bah humbug’ about resolutions and the like. Anyway I had not managed to do this last year and so ventured out on New Year’s Day to the local Martin’s to find the perfect addition to the Gidday HQ Frigidaire. Something unexpected, a little quirky and potentially irreverent. I was home ten minutes later, grinning and barely through the door before my new purchase was whipped out of its plastic wrapping. 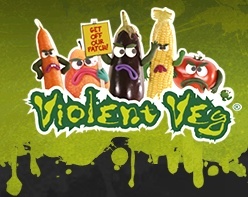 Ladies and gents, I give you your rebellious Five A Day for 2012…Violent Veg! 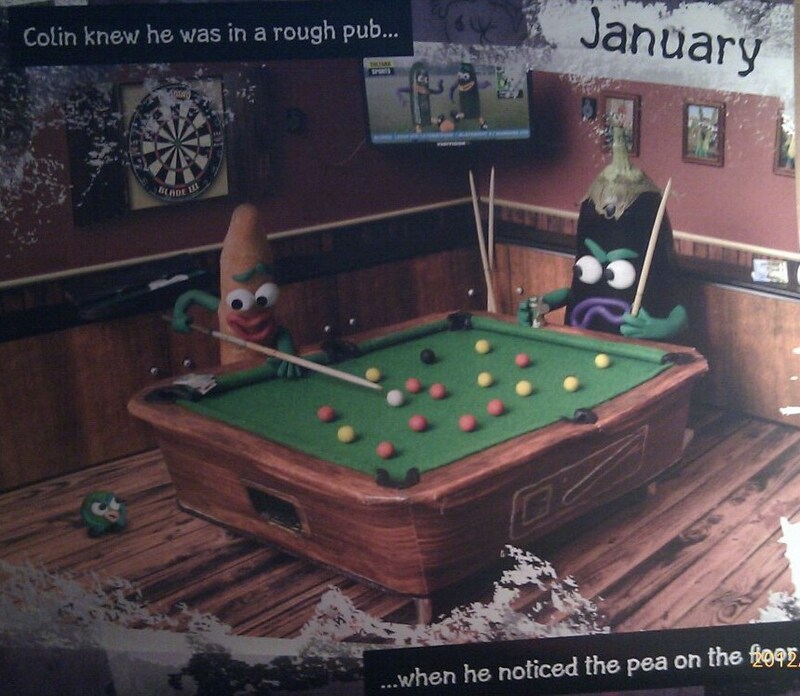 Now how is she going to get her five a day if she keeps tossing her greens away? This entry was posted in Expat moments, laugh out loud, Lil Chicky and tagged Five A Day, Gidday HQ, Lil Chicky, vegetables, Violent Veg by Kym Hamer. Bookmark the permalink. Gidday Alien (or should that be Alan?) Thanks for dropping by. Glad you enjoyed your virtual Walkabout. Hi Kym! What a pleasurable time I've had rambling back through your posts – so much to enjoy and laugh at! Thank you jack for the intro; I'm signing up for this one and adding 'Gidday' to my BlogRoll at http://archersofokcular.com. Thanks for bringing a smile to my face this morning.